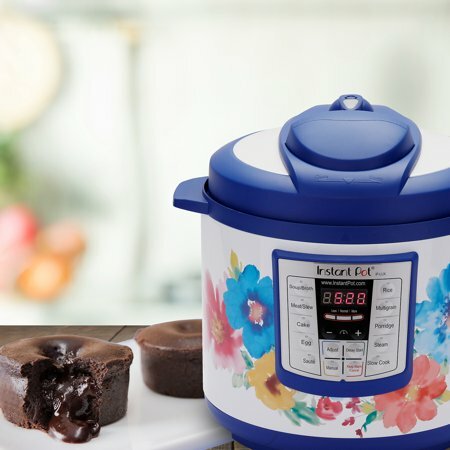 Over the past year or so, the popularity of the Instant Pot, often also referred to as the Instapot, has skyrocketed. It was the must have kitchen item for Christmas, and will undoubtedly be sought after even more in 2018. 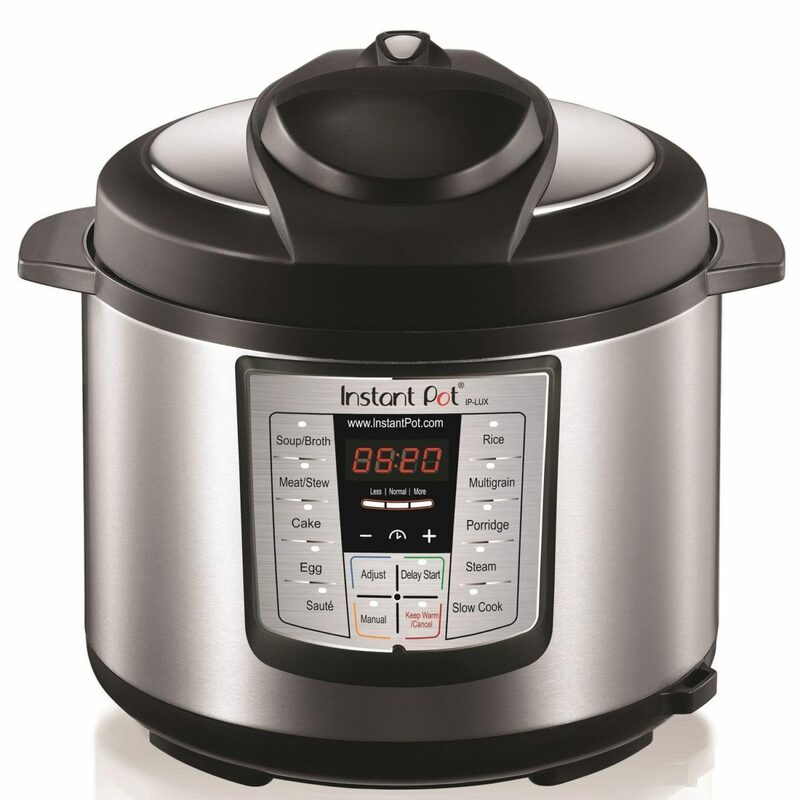 Instant Pot also released new models last year, so we have a comparison of all of the models for you. Even the most basic of them can do many things. Much more than any standard pressure cooker can! The Instapot is a multi-functional pressure cooker. It is not only a pressure cooker, it also works as a slow cooker, rice maker, yogurt maker, and egg cooker. It can also be used for sauteing and browning, steaming, warming, and sterilizing. You can even make cake in some models. Thus, you can replace a number of other kitchen appliances with it, making it great for students and people with limited kitchen space. As a pressure cooker, it can cook quickly, and allows a person to make recipes fast that would normally take all day to cook. That makes it great for busy families as well. It is the best pressure cooker available on Amazon.com. With controlled cooking cycles, the InstaPot cooks food in a completely sealed environment, which keeps food nutritious and good tasting. The Instant Pot is also energy efficient. It is designed to not exceed needed temperatures and to use less water than would be used with traditional cooking or steaming. The Instant Pot is available in multiple sizes; 3 quart, 6 quart, and 8 quart. I have a 6 quart one, and it is perfect for my family of two. If you have more than 4 people in your family, or if you like to cook in large quantities and then freeze, I recommend that you purchase an 8 quart pot. The Instant Pot is incredibly easy to use. The controls and settings are as simple as pushing the correct button. The time shows how many minutes are left. The manual is easy to read and understand. Pressure cookers can seem scary at first. But the InstaPot is much safer than old-style pressure cookers. It is designed with safety in mind. A magnetic sensor ensures that the lid is positioned properly. The lid includes a a safety lock that prevents it from opening while under pressure, and there is a pressure regulator that keeps the pressure within safe limits. It has smart detection features to check for any steam leakage. As further safety controls, excess pressure protection technology sends any excess pressure to an internal chamber. If electric current or pressure exceeds the safety limits, a fuse cuts off the power. Up to 16 built-in programs such as include soup, meat/stew, yogurt, porridge, rice, eggs, cake and more. Custom programming to remember you favorite settings (also available on the Duo Plus). The Smart InstaPot adds bluetooth control. Below is a comparison of the key features on each model. Sizes	 3, 6, 8 Qt. 3,6,8 Qt. 3,6,8 Qt. 6 Qt. 6 Qt. Choosing the best InstaPot model and size is ultimately a choice based on your personal needs. For those who will only use it as a pressure cooker, slow, cooker, and rice maker, which are the main uses for most people, the LUX is sufficient and the most affordable. However, if you want to make yogurt, or use other advanced features, the Duo Plus is the best value. 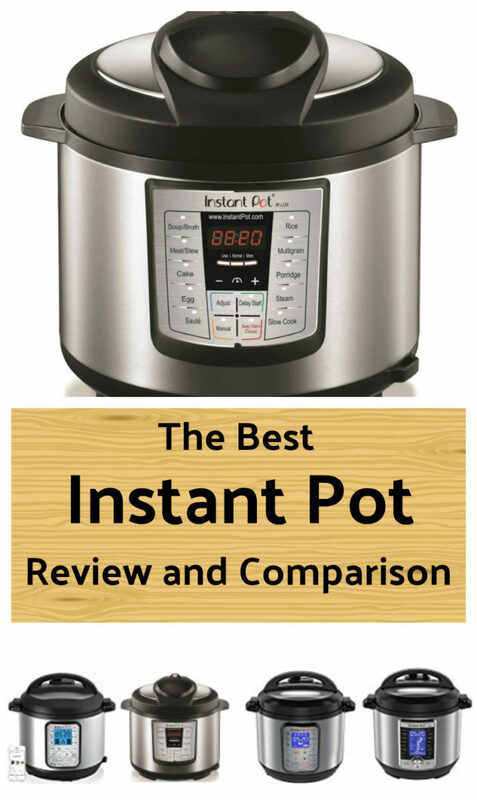 The Instant Pot Duo Plus is also the best selling kitchen appliance on Amazon. If you live at altitude, then the Ultra is the recommended choice because of its altitude adjustment feature. Tech savvy folks might like the Smart because of its Bluetooth connectivity, but it also removes some features and only comes in the 6 quart size. A key when choosing size is to think up. Each Instant Pot cannot be filled full, as there needs to be room at the top when cooking under pressure. Thus, sizing up is usually a good idea. The 6 quart is the best size for a small family, and the 8 quart is recommended for a family of more than four. Singles might get by with a three quart size, but I suspect that many would soon want to move up in size.